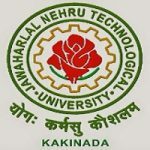 AP EAMCET 2019 Cut Off is announced by the Jawaharlal Nehru Technological University, Kakinada. Andhra Pradesh Engineering, Agriculture and Medical Common Entrance Test (AP EAMCET) is a state level entrance test. It is supervised by the JNTU, Kakinada on the behalf of Andhra Pradesh State Council of Higher Education (APSCHE). It is conducted for those candidates seeking admission in the field of engineering, pharmacy & agriculture courses. Here, we are providing complete details about AP EAMCET Cut Off 2019. Candidates will check cut off through online mode on the website. It will be released by the JNTU, Kakinada. The Cut-Off is the minimum marks that candidates have to secure to qualify the examination for admission. On the basis of the cut-off marks, the merit list will be prepared for qualified candidates. Candidates will get admission in their preferred courses and colleges on the basis of the cut-off & merit list. AP EAMCET Result 2019 will be declared on 1st May 2019. Appearing candidates can get their result through online mode from the official website. AP EAMCET result/rank card must be secured by the candidates as it will be asked at the time of counseling. AP EAMCET 2019 rank card will be available on May 2019 through online mode. Candidates will be able to download the AP EAMCET Rank Card after the result announcement. AP EAMCET 2019 counselling will be started from 4th week of May 2019. It is consisting of certificate verification, option exercise, allotment, etc. AP EAMCET 2019 qualifying percentage of marks is 25% of the maximum marks that are considered for ranking. There is no minimum qualifying marks are prescribed by JNTU for those candidates belong to the reserved category (SC/ST). But such candidates will be allotted admission only to the extension of seat reservation. The cut-off list will be published by the exam conducting authority after the announcement of the result. Candidates, those meet the cut-off criteria are applicable to appear in the counselling procedure. Candidates, those are not meet the cut-off criteria will be disqualified from the entire admission process. Only selected candidates will be eligible to participate in the counselling & seat allotment process. The admission procedure will be started after the completion of the AP EAMCET 2019 counselling process. Candidates have to report to the allotted college in a given time period along with the original documents & allotment letter. In case, candidates are unable to report to the allotted college in given time, then their seat will be allotted to another candidate. If you have any query about AP EAMCET 2019 Cut Off, you can ask your query here. Sir igot 3059 as rank and 941 as local rank can I get Bvsc seat? Sir i got 37308 rank in local emcet and my marks are 54 which kind of seat do i get please tell me sir my Ipe marks are 840 do I get agbsc? I got 35000.if any courses available?? I have got 40.705 marks in EAMCET 2017.can you tell me sir is I m pass or not.and what is qualification marks .I belong to OBC. sir,i got 22819 rank in ap eamceti belong to sc category. can i get seat in good college. What is the opening and closing rank in guntur agricultural college for agbsc. Is 44,273 rank Will eligible to join in guntur agricultural college . If yes then please inform me. I’m à bc girl. Is there any chance to get seat in acharya nagarjuna university ? What is the opening and closing rank in guntur agricultural college for agbsc. Is 44,273 rank Will eligible to join in guntur agricultural college . If yes then please inform me. Sir, my son B.G.S. Kalyan has got 59 marks in AP EAMCET 2017 and got Local Rank 6066 and Rank 32351. Shall he get CSE branch seat in SVU under SC community? Please clarify it sir. I got 41 marks in EAMCET. Am I qualified in this exam. I’m belongs to BC-B. Plz inform me. Sir, My sister got APEMCET 2017 rank 45014, SC-Girl-Non local,Please let us know is there any possibility to get a seat allotted in AU/ AU WOMEN’S COLLEGE or JNTU? I have got 17575 rank in ap eamcet 2017. Can I get seat in BVSc? If so in which college can I get seat? My brother got 3377 marks in ap eamcet 2017.He is BC-A category candidate with IPE Percentage of 95 % .Can we expect Bsc.agriculture seat. Hello sir,good evening please please……tell me what is the use of local rank in Ap eamcet 2017. I GOT LOCAL RANK 45702 IN EAMCET 2017 DID I WILL GET GOOD COLLAGES OR NOT. sir i got 13680 rank and belongs to bc-d.may i able to get agriculture. Sir my frnd belongs to sc category so he got 12879 rank at 2017 ap eamcet so,which seat he will got. I mean agriculture or vetinary…..
MY EAMCET MARKS IS 42 AND MY INTERMEDIATE MARKS IS 930 THEN… HOW MANY MARKS IN EAMCET? I got 57marks in ap eamcet. I am belongs to St caste.so I got free seat in agbsc/veterinary. Sir.i got 95 marks in apeamcet medical[checked through your key).I am a sc category boy.is there any chance to get seat in veternary science..SSEKHAR BABU.. Qualifying marks for ap eamcet ?? 1.what are the cut off marks for APEAMCET -2017 for consideration of ranking? Is there any cut off marks for each subject? What is the qualify mark of eamcet in 2017??? What is the qualifying marks for oc in eamcet 2017? I got 41marks in Ap emcet.my caste is oc.I am qualified or not. Sir I am ST candidate from Karnataka,studying intermediate in AP. How many marks should I get in EAMCET to get seat in JNTU or SVU?please tell. I have got 26565 rank in ap emacet .I belongs to ST category .can I get agbsc seat for these rank. You can find your rank through AP EAMCET 2016 rank predictor. in ap eamcet I got 95 marks, my inter marks weightage is 24%. I will come under SVU region. can I get a rank in agbsc?